No matter how many times I drive into Vernon from Highway 97 to the south, I never grow tired of the beauty of Kal Lake and it’s continually changing palate of blues, greens & turquoise. This beautiful lake offer so much to Vernon and the surrounding areas. 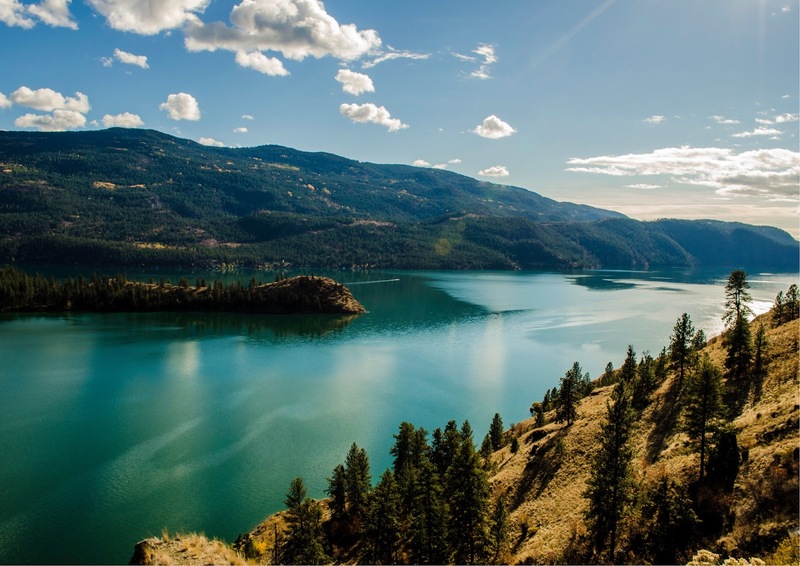 One place where you can get up close to enjoy it, is Kalamalka Lake Provincial Park. Registered as provincial park in 1975, Kal Park now offers over 14km of hiking trails and a number of beaches and lake access spots. Very popular with the locals for biking, hiking & walking, swimming and enjoying the flora and fauna of the area, Kal Park is one of the most treasured spots in both the winter and summer. finally looked it up! According to the Friends of Kal Park, Kal Lake is a ‘marl‘ lake where crystalized limestone creates the bright hues in the warm summer weather, and when the lime crystals dissolve in the cooler weather, the unique colors disappear too. So, let’s get out there and enjoy this amazing gem while the weather and colors are at their best! The 3 access points to the park all provide trail information and maps, but you can also access all the information about there park on the BC Provincial Parks website. For some, Kal Park takes the place of a big back yard, but they often have to travel to get there. There are a number of wonderful properties within walking distance, or even adjacent, to the Park, so if you would like Kal Park to really be your big back yard, give me a call or send an email and I would be happy to show you how this could happen!